There is something about the color green that makes me happy. It reminds me of spring, freshly mowed lawns in the summer, it's my happy color. Love that green chippy bench! Green has been a newly found love of mine too. You really found some winning images here. Great post. LOVE the chippy green bench! Green is amazing teraphy. First picture, thoose curtains were amazing. Wow! Love that green bench! Great pics! 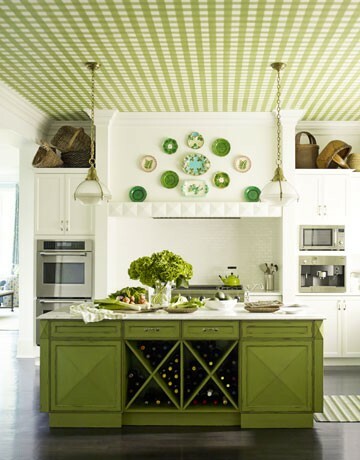 You are right, there is something about green that is refreshing. My high school's colors were green and white, but I've come around to green again....it's almost never tiresome. 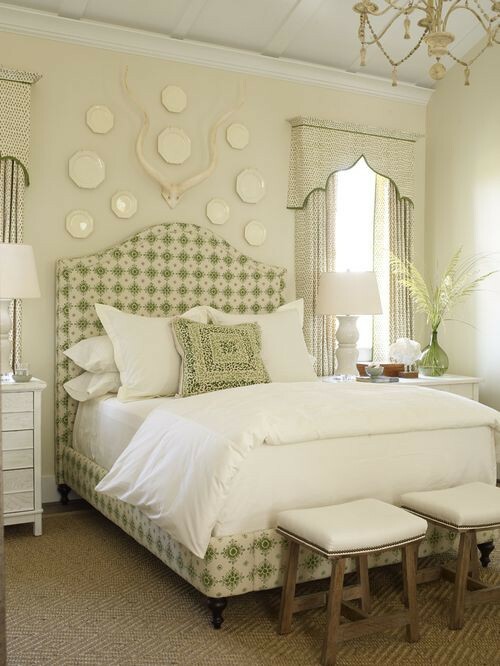 Those green drapes are awesome. I would've never thought to put them in a dark gray room but they look so perfect! 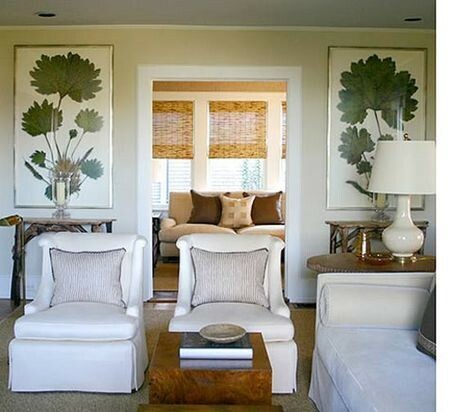 love the light fixtures in that 2nd picture!!! green is my happy color, too! Me too! 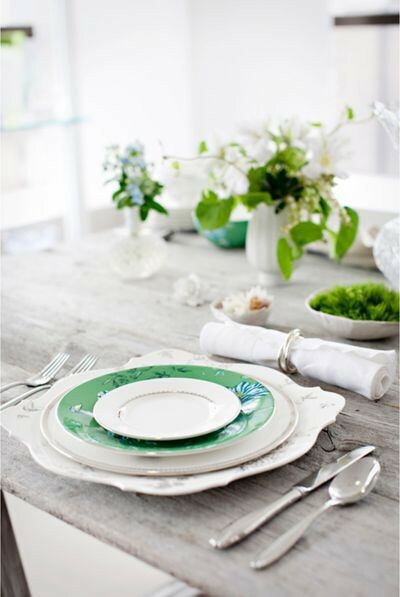 Love green and feel like it's a neutral....green goes with everything, so organic and fresh. 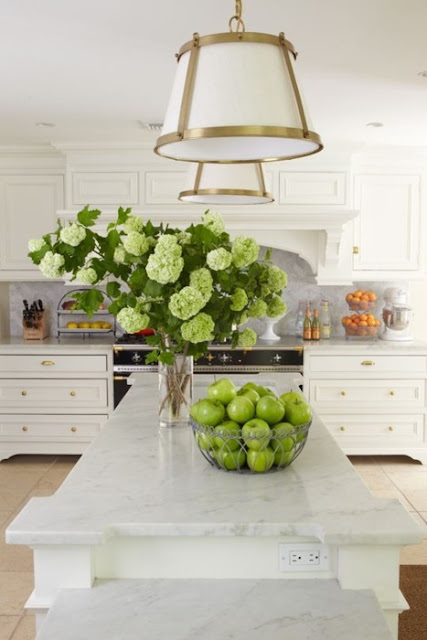 That kitchen with the hydrangeas is so lovely...thanks for sharing all this eye candy! I love your blog. My friend told me to check it out. I will liker her be on all the time! 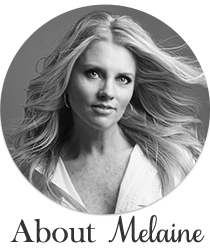 Really gorgeous Melaine. Green has never been "My " Color I am really starting to love it though! The curtains almost don't look real. I really like that laundry room though. We are a "green" family too, but mostly for wall color. None on the darker side though. Love it as well! Green is so fresh and clean! 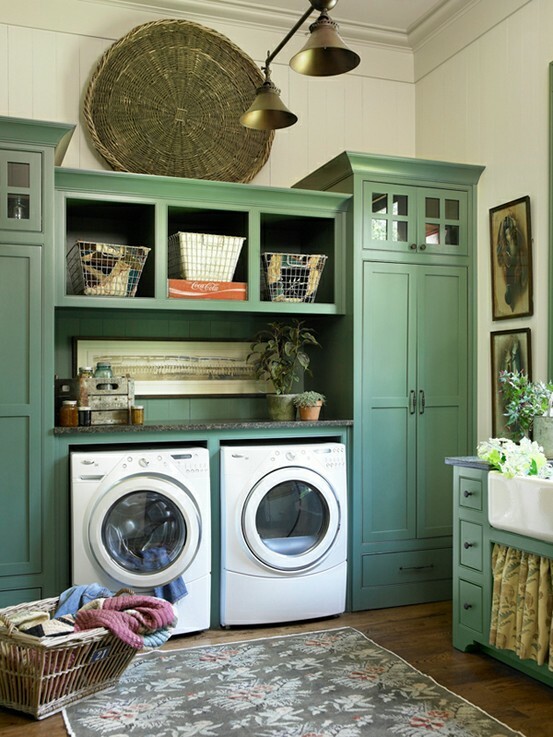 Loving the laundry room! Make you enjoy working!! I'm so not a green gal. 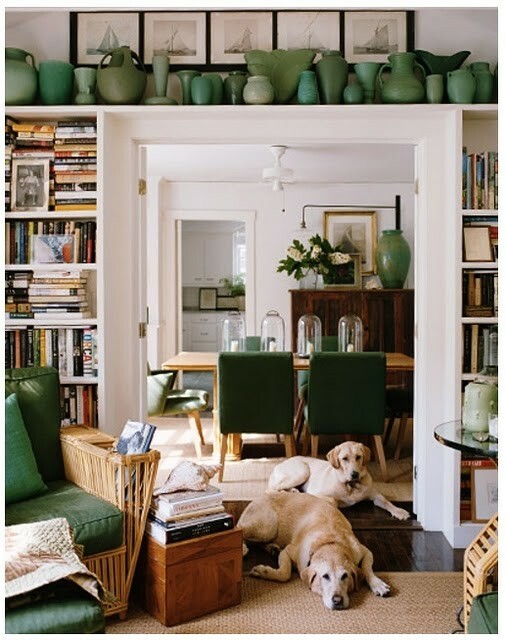 But that 4th photo (with the doggies and shelf of pottery) had me at envy. I tell ya. 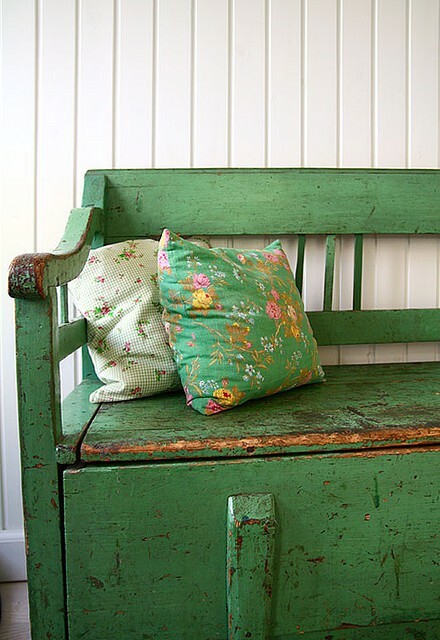 I am a primary color girl, but the green in that wonderful bench is popping up all over my house lately. I just found a great bag at Anthropologie in the same green and I have been planning my outfits so I can carry it. I love the pendant lights in the second picture. Do you have any idea where I can find them? !